All throughout my youth, a new Mega Man game was a release to be celebrated. I had grown up alongside the Blue Bomber and his various adventures against eight robot masters and their current evil leader. Moreso than the original eight, I was much more interested in the Mega Man X series and could routinely cite the optimal path to Sigma for the first couple of titles. Some of the PlayStation era Mega Man X titles have been fairly notorious for not holding up as well although I still find them all intriguing in their own ways. There may not be any new additions like Mega Man Battle & Chase in the Mega Man X Legacy Collection 1 + 2 but players will still get all eight mainline titles together in a pair of great packages. 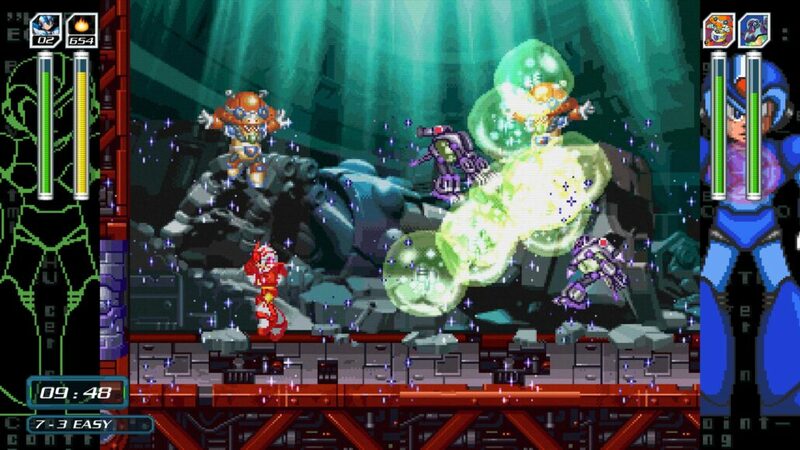 In almost all instances across the eight titles of Mega Man X1-X8, these side-scrolling classics handle just as well as their 16- and 32-bit counterparts, if not better. Each title is present from their original platforms, so that means no PC or PS1 versions of Mega Man X3 to play through. For the SNES era titles, the physics remain just the same and those speedrunning strategies you might have been cooking up after getting inspired by AGDQ streams still hold true. The same goes for instances of lag, especially in Mega Man X3. 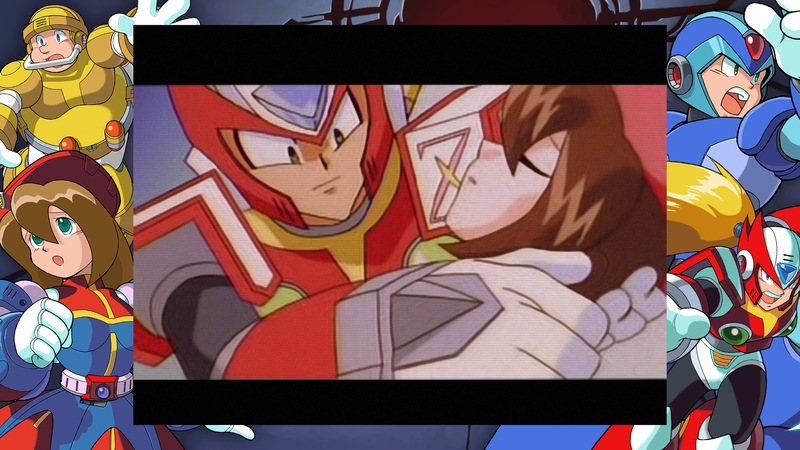 And yes, the less-than-stellar voice acting from Mega Man X4 is preserved for another generation just in case you have some fondness for Zero’s dramatic side. The disc-based titles of X4-X8 also feature drastically reduced load times, often just long enough to flash a loading screen before taking you right back into the action which is a huge boon in my book, especially when you’re having to reload your save so many times to succeed in firing the Enigma Cannon in Mega Man X5. 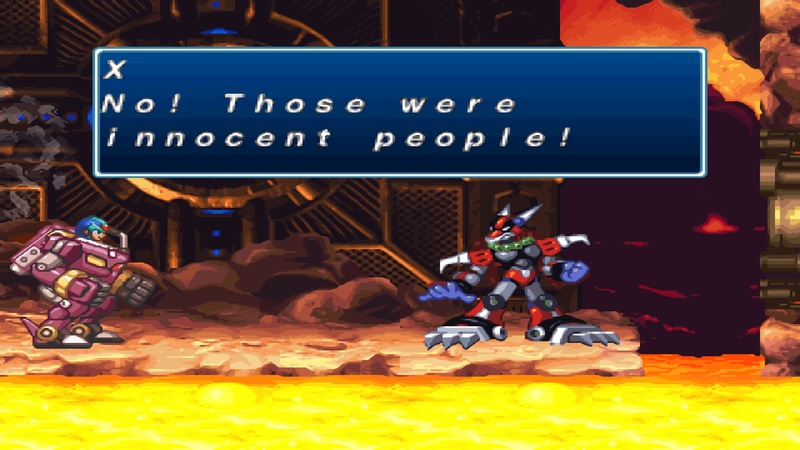 Perhaps the single greatest localization change from the originals in this Mega Man X Legacy Collection lies in Mega Man X5. Those Guns and Roses-inspired names that players have known for years have finally been reverted back in line with their Japanese counterparts. Sadly, this means Duff McWhalen is a relic of the past. In his stead is Tidal Whale which just doesn’t have the same impact that Sir Duff once had. Each title in the Mega Man X Legacy Collection 1 + 2 is available in both its global Mega Man and Japanese Rock Man variants. Most of the titles handle similarly with some minor variation. The Japanese versions will have less text to scroll through, particularly handy if you’re looking to speedrun this collection. Also, some levels have been rebalanced and enemy layouts changed between their respective versions. 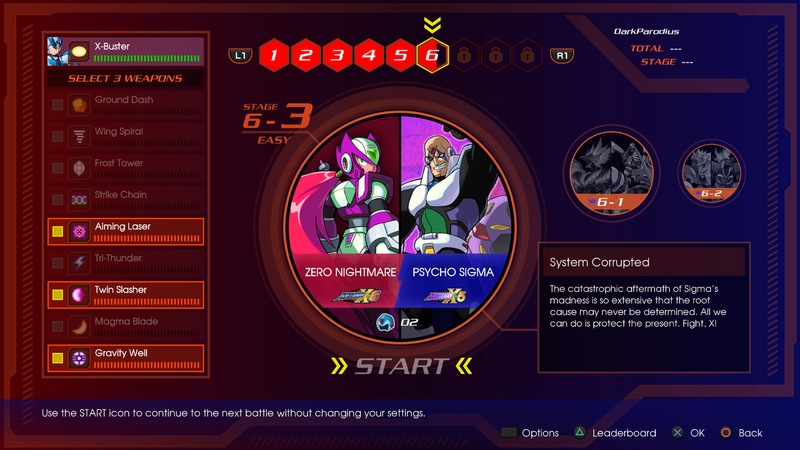 One of the trophies to the X Legacy Collection has players replay the opening level from any of the four games in each collection in both English and Japanese, so players can see those changes for themselves. A small Museum mode gives players a brief little gallery of concept art and enemy designs for each game, a welcome addition to any game compilation, as well as a Jukebox mode that does the same for every title’s rocking tracks. For an added challenge, the Mega Man X Legacy Collection 1 + 2 includes a new mode known as X-Challenge that remixes boss fights with a brand new spin. New to the series is taking on two separate bosses in the same arena, sometimes with massively oversized Mavericks in tiny rooms. Each group of challenges is linked together in groups of three different fights where X is outnumbered 2-to-1. To give X a competitive edge, the player is allowed to bring in three sub-weapons from a specific list that have to be used in all three fights. Players will have to make a tough choice in terms of efficiency: will you grab the sub-weapons that half of the cast will be weak to, or will you go with a versatile tool like the Gravity Well or Tri-Thunder? One aspect that I found a little troublesome is that bosses are only weak to their specific sub-weapon weakness from their original game. If you’re facing off against two ice bosses at once, only one will be weak to Ground Fire, for example. Mega Man X Legacy Collection 1 + 2’s eight games all feature the same optional touch-up if the player doesn’t feel the need to play it in the original 4:3 presentation. The limited enhancement options for the players are essentially limited to the aspect ratio, whether the player wants to play it in letterboxed 4:3 with a background image filling the blank space, or stretching out to widescreen format. To help soften the edges, two different pixel smoothing options are available but I couldn’t find myself being too interested in either of them and routinely played with them turned off. I grew up with these chunky pixels and trying to blur them out often looks like a muddled mess. I’m willing to take that compromise even if it means the menus and title screens for the PlayStation 1-era Mega Man titles don’t hold up. It’s important to note that these options can be toggled on the fly on the PlayStation 4 just by tapping the TouchPad button. Another option that can be swapped on and off is a new ‘Rookie Hunter’ mode that’s available for each of the eight games (X-Challenge doesn’t offer this, but it does have different difficulty levels available instead). Trophy hunters should ignore this toggle if they’re aiming for the platinum trophy, but for those that are just getting into the X series and aren’t accustomed to the high peaks of difficulty will be glad it’s there. With this option, it’s nearly impossible to die in most of the games. Pits are trivialized to the point that X and Zero are rescued out every time and returned to the nearest flat surface. The same goes for spikes; what were once instant-death menaces are reduced to merely chipping away at the player’s life force. Regular enemies and even some boss attacks do almost no damage to the player that you can just dash from one end of the level to the boss without ever seeing a continue screen. Trust me, after facing off against Sigma’s multiple forms and losing so close to the end, that handicap is a welcome addition. In nearly all instances, the Mega Man X Legacy Collection 1 + 2 holds true to the originals with a timeless collection for the current console generation. Whether you’re looking for the classic four or want to dabble in some of the more experimental reploid hunting titles, you’ll get more than your money’s worth in this fantastic compilation for Capcom. Just do me a favor when you pop this into your console of choice: pour one out for Duff McWhalen, may he rest in peace.